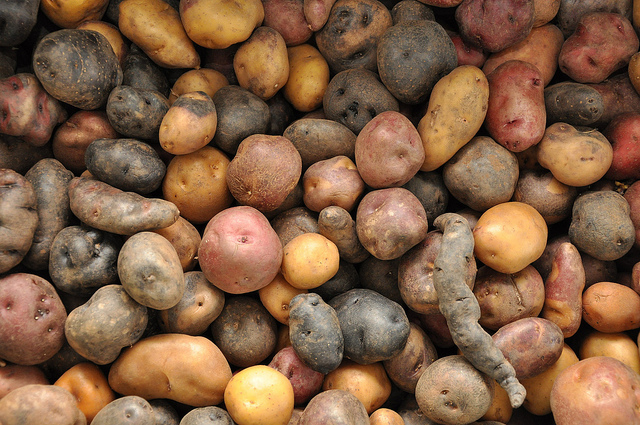 Potato grading might at first sight seem an easy task – identifying which potatoes are good and which aren’t – but when they’re flying past you on a conveyor belt faster than your Aldi shopping, you need to be on the top of your game. At Agrico, the UK’s leading potato breeder, potato graders are highly skilled, and also in high demand. With a season running from October to April each year, it’s incredibly important for Agrico to train their staff not just for the job in front of them, but with a view to developing their whole career at the same time. In doing so staff continually develop their skills, and are able to offer more and more to their employer, with employees returning year on year as a result. Photo: flickr.com / croptrust. Used under Creative Commons. Archie Gibson, executive director at Agrico UK, says: “There is a high level of skill required in what we do, so training people from scratch each year would be both time intensive and costly. However we can’t offer people all year round work. This wider training includes specific skills such as working fork lift trucks to more general skills, including machinery operation, quality control, leadership, management and communication. We are highlighting Agrico's training as part of our #summerheroes Twitter campaign looking at training and development for flexible workers. Let us know what you think @ukces. See Commissioner David Fairhurst's blog post about McDonald's summer heroes, and how Alton Towers helps their summer workers be heroes.